A round of upgrades is set to make the French air force’s two EC725 helicopter squadrons even more effective. 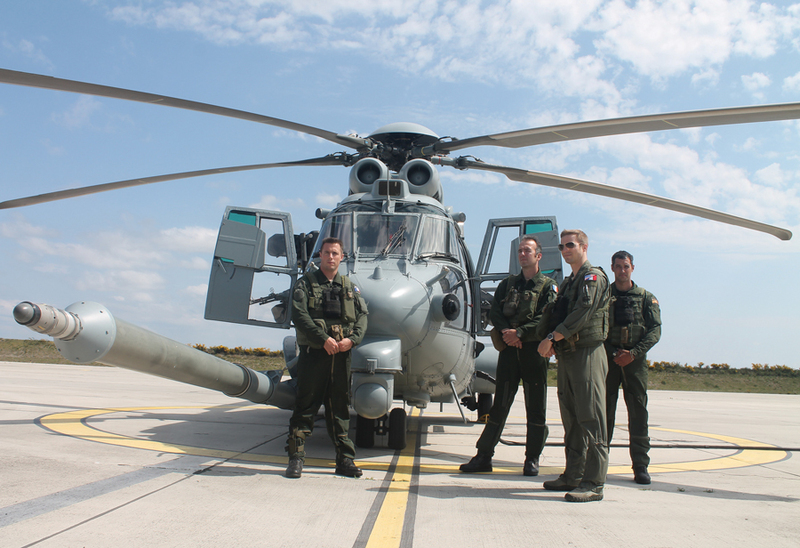 One of them, based at Cazaux, designated EH01.067 and named after the Pyrenees Mountains, has already built a strong reputation for combat search and rescue (CSAR) missions in numerous overseas deployments. “Our motto is ‘Fight and Rescue.’ On the sides of our helicopters, you don’t find the Red Cross. You find machine guns instead,” said Major Guillaume Vernet, the squadron’s director of operations. EH01.067 has been a CSAR outfit since 1993, when it was equipped with SA330 Pumas. Five of those are still on strength, and two are currently deployed to Mali. The bigger and more capable EC725s began to arrive from Eurocopter in 2004; first the “Resco” version and later the HUS version designed for special forces operations. The latter role was transferred to another squadron at Pau in 2010. The first of five new Caracel versions of the EC725 arrived at Cazaux in 2011. The 14 Resco and HUS machines are being upgraded to the Caracel standard over the next five years. Vernet explained that the squadron is responsible for SAR missions in southwest France, and “public service” missions throughout the country, such as medical and other evacuations, and disaster response. The wartime missions include maritime surveillance and infiltration/extraction of personnel in hostile territory, as well as CSAR. In the last decade, the Pyrenees squadron has operated in Haiti, the Ivory Coast, Lebanon, Chad, Afghanistan, Libya and Mali. “We must be able to deploy rapidly to austere environments,” Vernet explained. During the 67 months that the squadron was deployed in Afghanistan, it flew more than 3,200 hours and performed over 220 evacuation missions. The personnel recovery mission is often flown at night, in bad weather, and into hostile environments. The squadron trains for unrefueled low-level rescue missions to a radius of 250 nautical miles, flying at 120 knots, and allowing for 20 minutes over the “target” area, with a 30-minute reserve. “We can bring back three to six people at this longest range, or up to 17 people on shorter missions,” said Vernet. The EC725 has a much more sophisticated navigation suite than the SA330, including weather radar, digital map and FLIR. The self-protection suite is similar, but on the EC725 “all the sensors feed into a single box which tells us the best solution to the threat via the digital map,” he said. The helicopter itself is very easy to fly, said Vernet. The four-axis autopilot provides envelope protection and automatic transition and hover, with no limitation in speed or altitude. The auto-hover mode allows easier extraction of personnel; and is a good counter to the loss of reference that pilots may experience in dusty or snowy conditions. The pilots also enjoy a multi-redundant glass cockpit, and can use night vision goggles. There is no flight engineer. “We are deploying new pilots on combat operations after only 100 hours,” Vernet said. The EC725 comes equipped with a refueling probe, and the squadron is now qualifying its pilots with the help of C-130 tankers provided by the Italian and U.S. Air Forces. Some French Air Force A400Ms will be delivered with refueling pods, and trial hook-ups of the new airlifter with the EC725 are scheduled for next year. The EC725 upgrade includes Sagem’s latest sensor ball, the Euroflir 350, which allows personnel to be identified in all weather conditions at up to one kilometer away; satcom; replacement of the 7.62-mm miniguns with new 20-mm guns from Nexter (already on the squadron’s SA330s); and modifications to the engine Fadec that will allow takeoffs in temperatures as low as -30 degrees C. The time-between-overhauls will also be extended from 750 hours/two years to 1,200 hours/three years.